Yago Partal is a designer and photographer working in Barcelona. During a recent image campaign, he was interested in ‘humanizing animals’ and wound up with Zoo Portraits. Our first thought: sounds awesome. We, for one, love a little anthropomorphism. 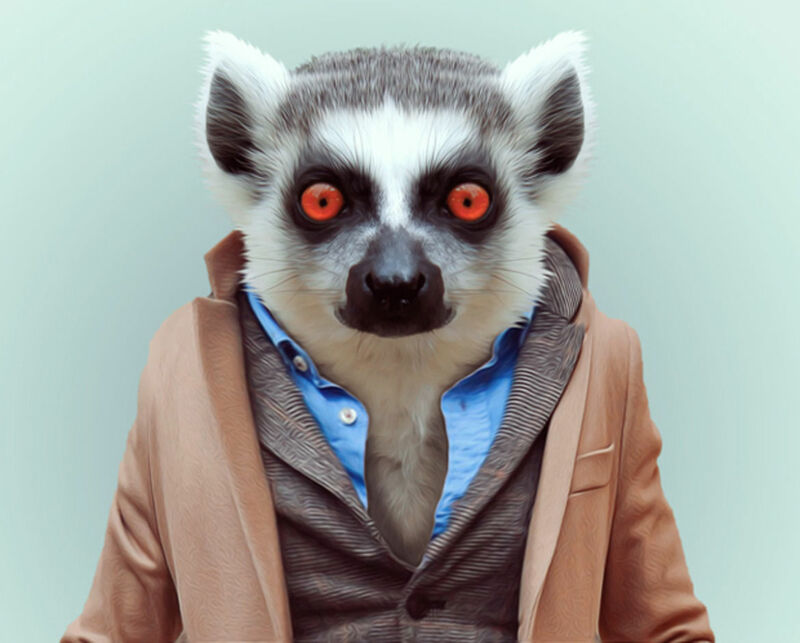 Equipped with portraits of animals and a strikingly good fashion sense, Partal went to work. Having outfitted his subjects with styles that range from casual to formal, leather to denim, Hawaiian to hipster, the artist effectively blended personality and humor on each animal. We’re reminded of Twain: Clothes make the man. Naked people have little or no influence on society. Similar could be said for this motley gang of zoo animals. It surprised us how much our perception of the animals changed once we saw them in their specific garb. That tiger isn’t nearly as intimidating in his Canadian tuxedo. Penguin looks right at home in his cardigan. The ostrich reminds us of the hipster from the coffee shop around the corner. And everyone’s favorite sloth looks like he stole that deep V-neck from Gosling’s closet (as if sloths need to be cooler). We appreciate a simple, novel concept. Even more if it’s done well. Is Partal the first to put clothes on animals? Definitely not. But he is the first to make a gorilla look like a bouncer at Studio 54. Kudos to him. You may not be like us – you may have lasted this long without losing an entire afternoon debating (with yourself) which animal is your spirit animal. We don’t know whether or not to envy or pity you. Either way, we invite you to pick from the crew we’ve featured. Surely, someone out there can appreciate a stag in an imitation Thriller jacket. Maybe it’s you; channel that inner fashion beast. All photos via Zoo Portraits.